Africana is an academic journal started by Dr. Christopher LaMonica. 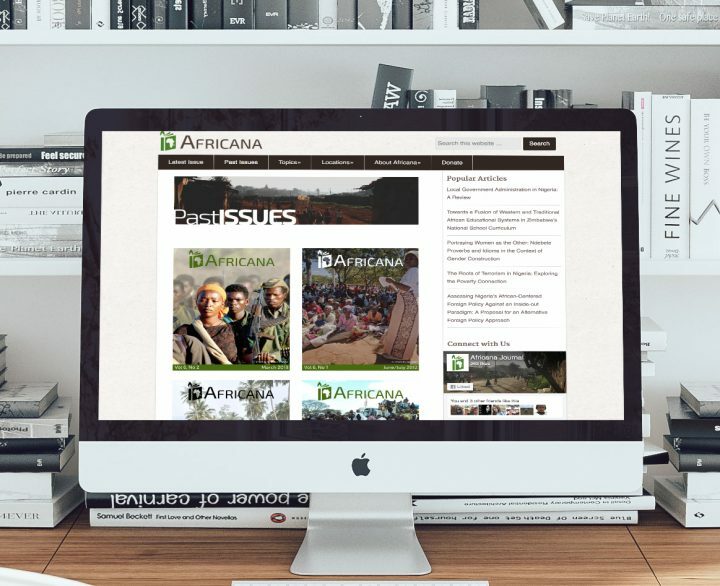 It focuses on issues concerning Africa, but plays the unique and important role of having articles written by Africans. It is a publication of the African Studies Department at Boston University. Dr LaMonica had thrown together a basic website himself to just get digital copies of the publication online. He was trying to get the publication accepted by major databases, but needed the website to be more professional to show legitimacy. 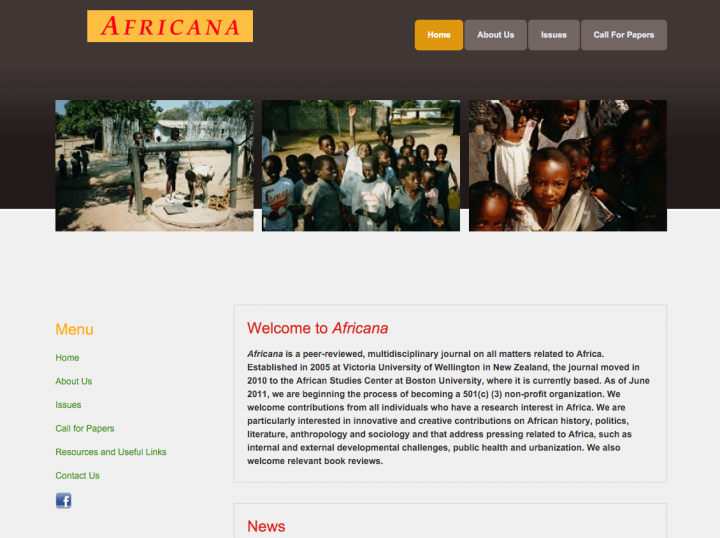 The Africana needed a logo, a new and consistent color scheme, better photos, and an easier way to browse and search for articles. They also wanted a way to collect donations online. We created a new logo that would truly represent the heart of the publication. A soft brown color scheme helps create an established and academic feel. We found incredibly vivid photos to use on the website, as well as redesigned all their issue covers to be more engaging. A donation page helps supporters contribute to what they care about. SparkFlow also organized all of Africana's past publications into a browsable and searchable online database. 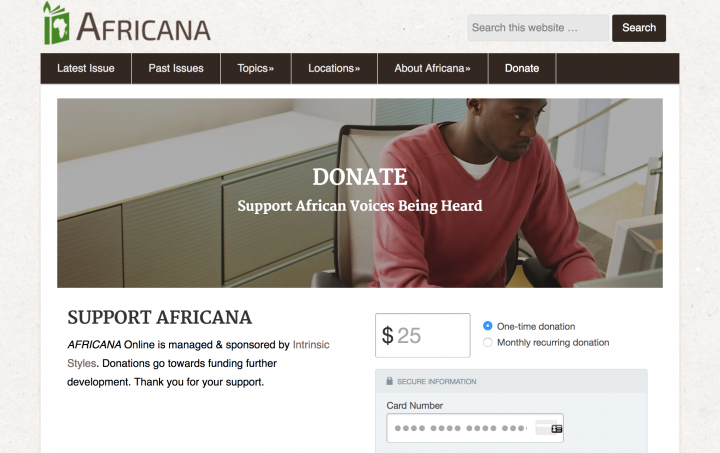 We also created simple donation platform that enables the Africana to raise funds for support. 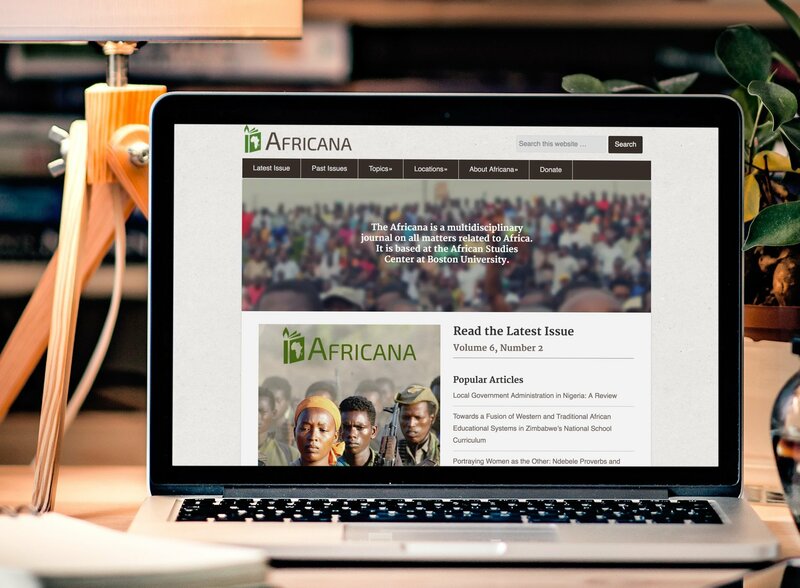 With professional and academic website, the Africana has been able to gain more traction increased web visitors. They've also been accepted by a couple major education databases. As an academic scrambling to teach, research and publish, maintenance and improvement of the academic journal, Africana, was always the last item on my list. Steven at SparkFlow proved to be our saving grace. Steven quickly understood our challenges and completely revamped Africana’s web-page to look more professional and better connected with like-minded researchers, policy think tanks, relevant organizations and individuals. Always professional, organized and responsive, we at Africana journal cannot thank SparkFlow enough for their efforts. Visual appearance is important in establishing legitimacy. Visitors will judge your credibility by how good your website looks. Learn about how a new website design can build trust among your visitors.